Today, a company’s data is often viewed as a strategic asset within the business. As such, having the right tools to unleash the true value of that data is more important than ever. 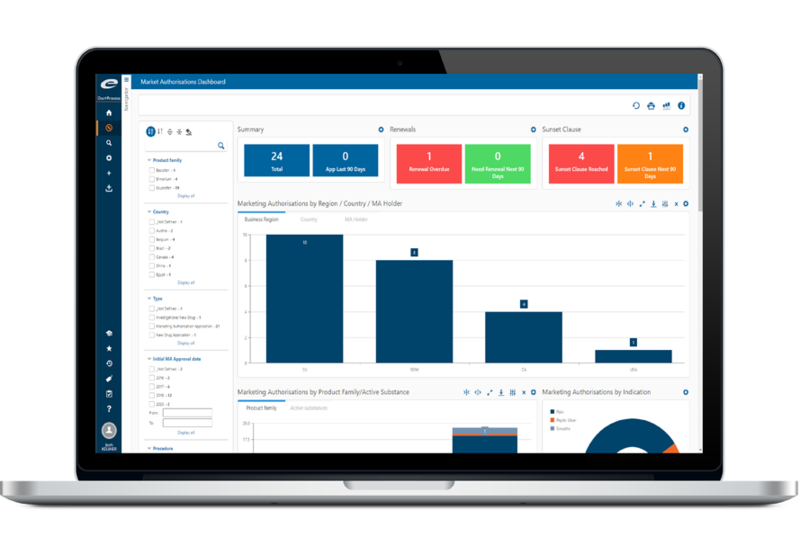 Ennov Report introduces advanced reporting, data visualization and analytics into day-to-day business operations to solve problems, support better decision making and drive greater business value. Ennov Report is natively integrated with Ennov Doc, Ennov Dossier, Ennov Process and Ennov Training and is the key to unlocking the wealth of information that is collected and managed within the Ennov product suite. Imagine that you can spot a problematic trend before it becomes a major catastrophe. Many times important decisions are made after-the-fact which, in many instances, is often too late. What if decisions could be made proactively and were based on data and not just intuition? Ennov Report accesses, aggregates and presents the right information in the right context to help you identify and address business problems effectively and efficiently. Because of the way the human brain processes information, using charts or graphs to visualize large amounts of complex data is easier than pouring over spreadsheets or tabular reports. Ennov Report offers a wide gallery of data visualization tools that help you “see” your data in new ways. Interactive dashboards, charts and graphics help you process information faster, take the appropriate actions and achieve better business results.